Dragon Ball has had their fair share of fighting tournaments in the past, but this next fighting tournament is going to be the biggest one that the Z fighters will ever participate in. 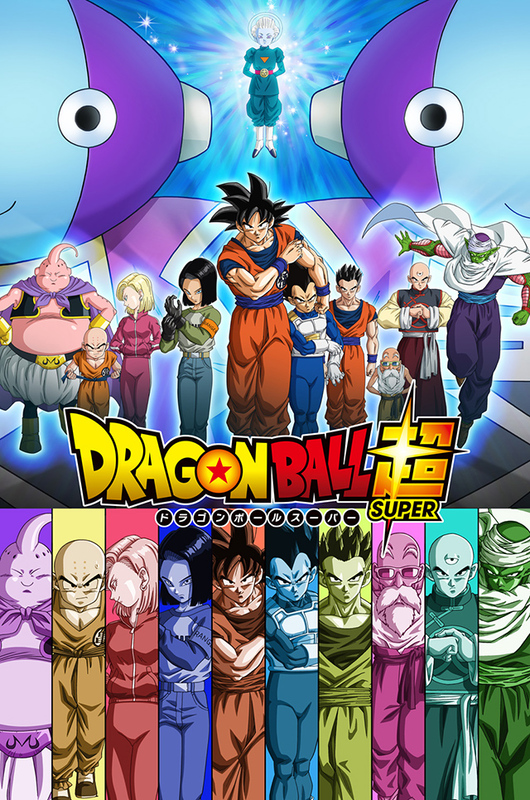 The next arc of Dragon Ball Super, which will debut on February 7, will feature a giant, multi-universe fighting tournament between the Z fighters and members of the other 11 Dragon Ball universes. Toei Animation, the studio behind the Dragon Ball series, recently released a visual for the arc as well as a synopsis of what the new arc will entail. The new arc is titled “The Universe Survival Arc.” As per Goku’s request, Zen-Oh Sama, who is the king of all the universes, organized a tournament between the universe’s best fighters. We know who will be representing Universe 7 in the tournament based on the visual provided by Toei Animation. Goku, Vegeta, Gohan, Master Roshi, Android 17, Android 18, Piccolo, Buu, and even Krillin and Tien will be holding it down for Universe 7. Aside from Universe 6, which we just saw in Dragon Ball Super’s most recent arc, we do not know what kind of fighters the other universes will be bringing to the table. And if the most recent arc is an example of what is out there, the Z fighters are likely to have a rough time. We got to see some of the strongest fighters from Universe 6 in the most recent arc of Super, the most powerful of whom seems to be Hit. Hit is an infamous assassin in Universe 6, but he is also a noble fighter and great warrior. He gives Goku a run for his money even while Goku is in Super Saiyan Blue form, but because the rules of the tournament prohibited killing, Goku felt that Hit was not able to show his true strength. We do not know what the rules of this new tournament will be, but we can surely expect somebody to get wished back by the Dragon Balls if killing is allowed. Dragon Ball has always been fond of tournaments and this is nowhere near the first tournament to be featured in the manga/anime. The World Martial Arts tournament has been a staple of the manga since its start. During the Cell Saga, Cell held a massive tournament in order to show his true strength and fight against Earth’s strongest fighters. Tournaments are big and they usually follow a similar form of people registering for the tournament, a long gestation period filled with a lot of training and time in the hyperbolic time chamber, and then the fighting in the tournament. But, this new tournament is going to be the most epic fight of them all. And if Universe 7 loses, they might even get destroyed. Check out the new Dragon Ball Super sub when it comes out on February 7. And remember that we are finally getting the Dragon Ball Super dub in America, starting January 7 on Toonami.